As a society we are 'slacking' in the posture department. The Lumo Lift gives you habit building reminders to help you look and feel better by improving your posture. The Lumo Lift is a small device that discreetly attaches to your clothing to provide you posture reminders. The small sensor attaches to your clothing near your collar bone with a small magnetic clip. The sensor sits under your clothes and a small magnet attaches to the outside. You can wear the device on an under shirt or bra for an 'invisible' appearance. 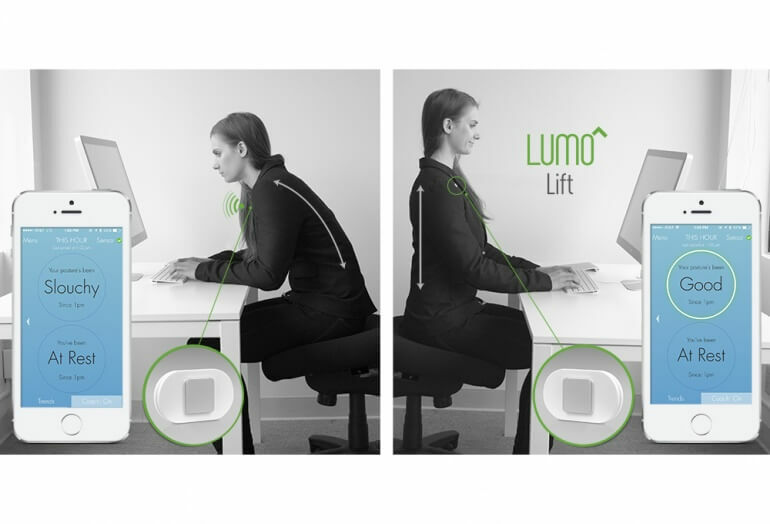 Whenever the Lumo Lift senses you slouching, you are sent a small vibration as a reminder to correct your posture. 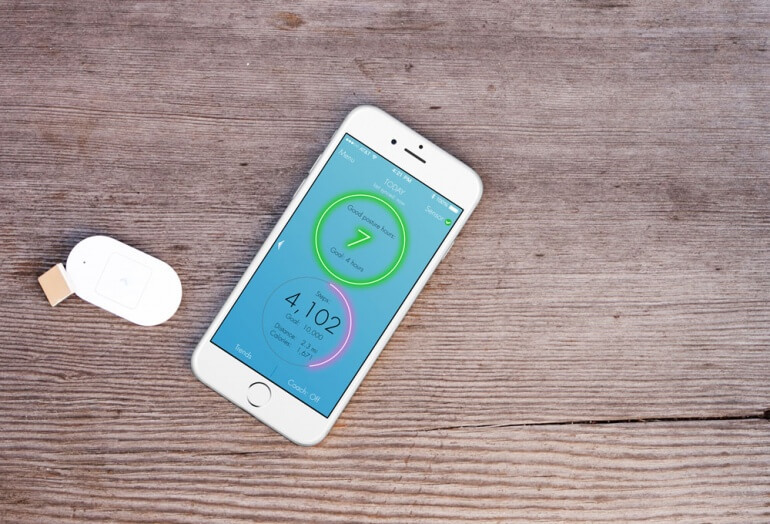 The device tracks and displays your progress through an app for your iOS / Android device or through your PC. The Lumo Lift is not just a posture coach. It also tracks steps taken, distance traveled, and calories burned. The app allows you to set goals and track your progress. Stronger core and supporting muscles. Battery Life: 5 days on a single charge. 2-4 hours to fully charge. Storage: 32mb internal memory for up to 4 weeks of local storage. Unlimited storage in the cloud. Device: Most Modern iOS & Android and Windows 7 or later. Accessories Available: Windows dongle, stylized magnetic clasps.